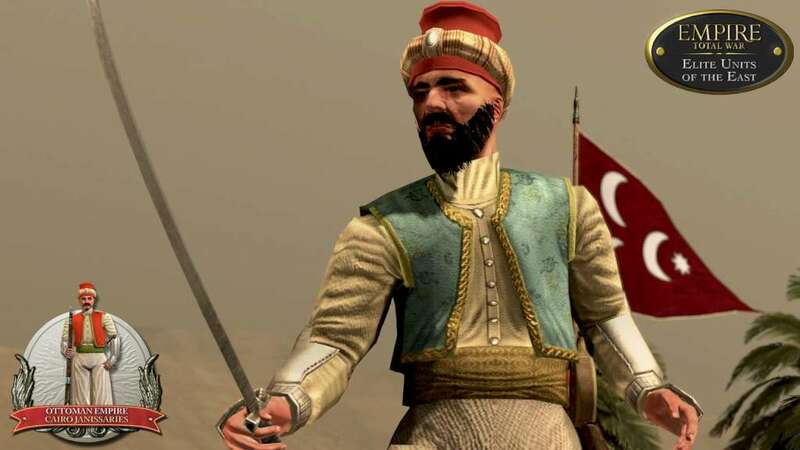 The Elite Units of the East DLC for Empire: Total War™ adds 12 new elite units to the Maratha and Ottoman factions of Empire: Total War. 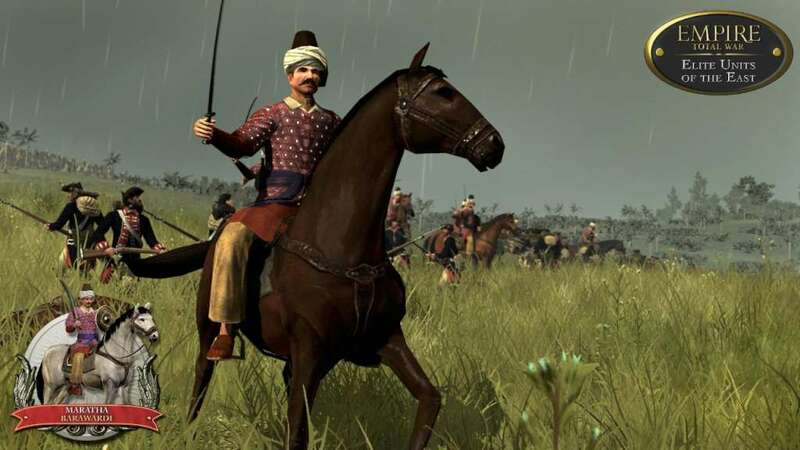 Empire: Total War expands further East than any previous Total War game and this Downloadable Content includes the very best units from the Eastern lands. Most of these soldiers' expertise developed on the battlefield - some are fearsome brigands, others of them are drawn from a strong academic background, learned warriors. They will provide a vast array of tactical options: intimidating and cowing your enemies. Once you've purchased the content, you will unlock all new 12 Elite Units of the East in the single player campaign under the conditions below. They will also be available in multiplayer and single player battle modes, when playing with the appropriate faction. Haydut Irregulars (Ottoman Empire) These irregulars have the field skills needed to survive in the mountains, and all the cunning of bandits. Wallachian Boyars (Ottoman Empire) These swift light horsemen are right to see themselves as better men than their foes, as they pursue enemies from the battlefield. 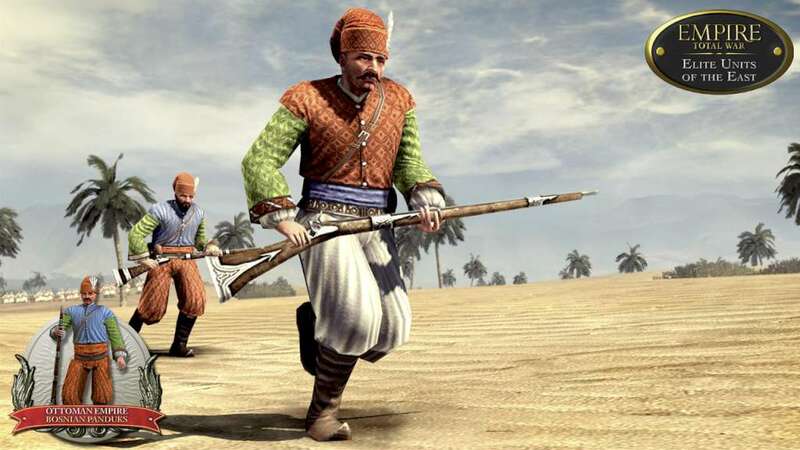 Bosnian Panduks (Ottoman Empire) These irregulars are expert skirmishers, but can also give foes a nasty shock in close combat. Circassian Armoured Cavalry (Ottoman Empire) Medieval cavalry in chainmail may look hopelessly old fashioned, but it is a foolish enemy who underestimates these men. 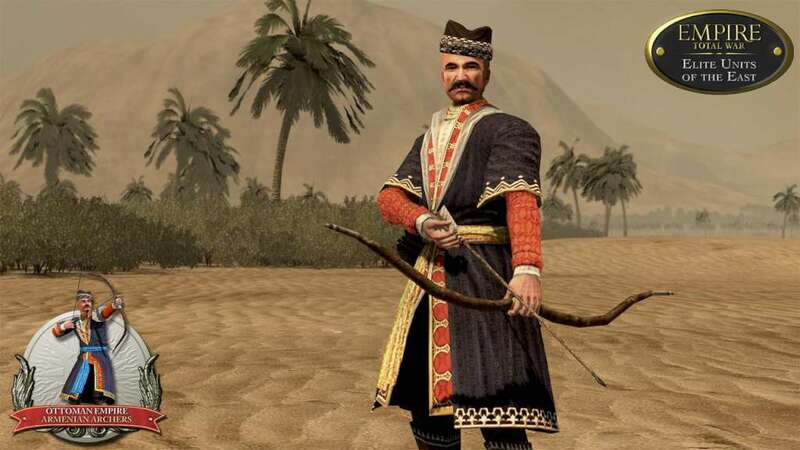 Armenian Archers (Ottoman Empire) Seemingly archaic in an age of gunpowder and revolutionary fervour, these bow-armed skirmishers are still a dangerous force. 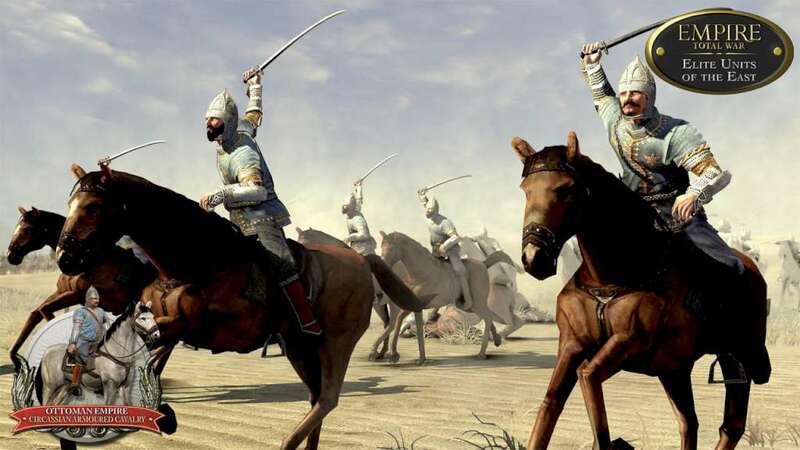 Libyan Kuloglu (Ottoman Empire) Libyan kuloglu are auxiliary cavalry, capable of dismounting to deliver a devastating volley with their blunderbusses. Palestinian Auxiliaries (Ottoman Empire) These musket-armed regulars are good soldiers and, as garrison troops, are well able to keep order among the ordinary folk. Cairo Janissaries (Ottoman Empire) Cairo janissaries are recruited from among the children of janissary families, which gives them a sense of camaraderie and superiority. Mounted Nizam-I-Cedit (Ottoman Empire) These mounted infantry ride into battle before delivering volleys of fire, but can fight on horseback if needed. Rajput Zamindars (Maratha) These heavy cavalry are armoured from head to toe in mail and plate, giving them a terrific shock value as they charge home. Poligars (Maratha) Poligars are unusual: elite light cavalry who wear armour. Despite the extra weight, they are still a terrifyingly swift force on the battlefield. 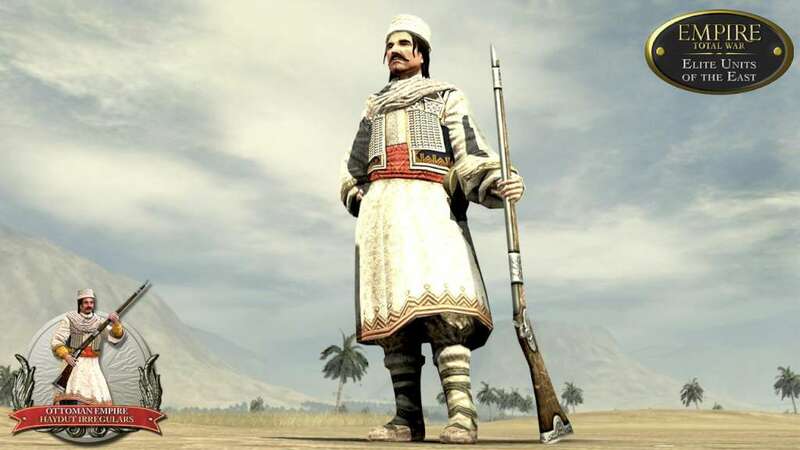 Barawardi (Maratha) Barawardi are an elite light cavalry force. Despite wearing armour, they are surprisingly quick on the battlefield.